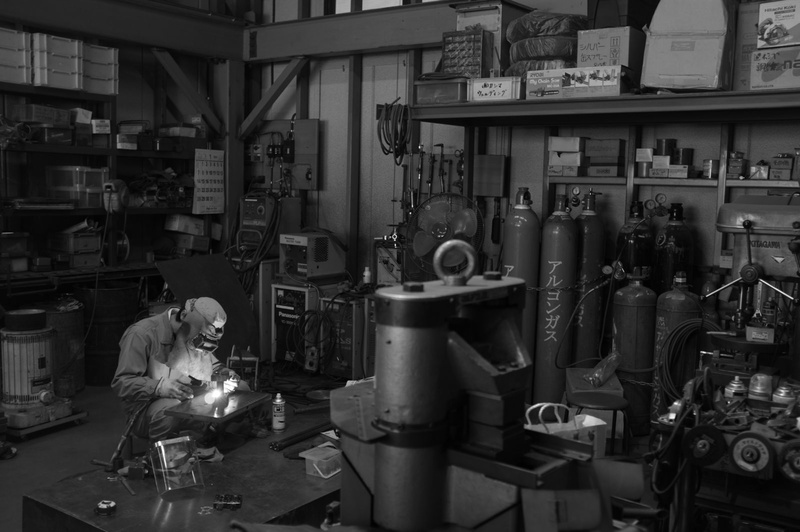 Kashima Welding in Adachi City, Tokyo , is a unique welding factory run by a father and his son. Although it seems like an ordinary workshop from the outside, the skills and techniques applied are quite remarkable. Founded in 1986, it has certified as an Adachi Brand, a certification given to most accomplished and excelled factories. This article is about a company participated in the factory tour & workshop program conducted by TOKYO FABHUB. 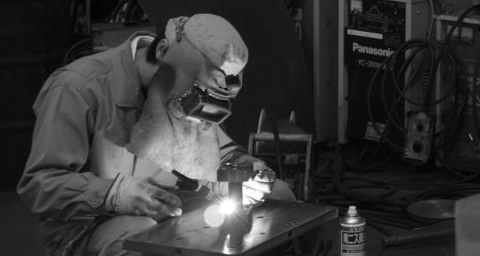 Welding itself is a widely used technique to join materials together by melting the materials by heat. What differentiates Kashima Welding from others is their superior skills and preciseness in handling special materials. It provides high-quality welding service for wide range of materials such as aluminum, titanium, stainless steel and works with thick to thin materials (0.5 mm – 50 mm), long and large objects as well using Tungsten Inert Gas (TIG) welding, Arc welding, CO2 welding, Oxygen welding and brazing technologies. Especially, handling titanium is quite unique in the industry. 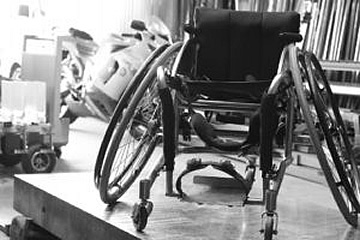 Titanium is used in many products to provide durability and lightweight to the product such as bicycle and wheelchairs. But titanium is one of the most difficult materials to process. So if your wheelchair brokes and you want some repairment, there are few factory which can handle it. Kashima is one of those rare factories in Japan. The factory was founded by Ken Kashima and had been run by him and his wife for years. 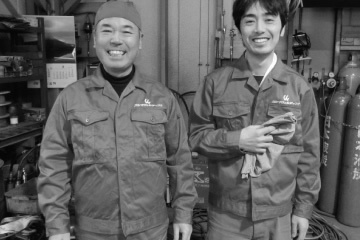 His son, Shinpei, watching his father work in the factory from his childhood, grew to enter a welding school and became a professional welder in a large shipyard. After working in a shipyard for eight years, Shinpei decided to succeed his family business and now working as a chief of the factory. With Shinpei joining the factory, Kashima now has a capacity to work on both precision welding as well as a large scale welding, which makes the factory unique and competitive. The factory emphasizes education and everyday improvement, what makes the factory distinguished among others. Kashima welding is an active member of Titanium Association founded by The University of Tokyo, where the members can exchange their experience and improve welding technologies. Kashima welding has built trust and confidence with clients by strict adherence to manufacturing deadlines and delivery products at which they are 100% sure.